I LOVE roasting veggies! I feel like every time I roast broccoli, I try a different method. I'm always googling "how to roast broccoli" (which is stupid because it is supposed to be easy), but can never seem to find the perfect formula....until now. 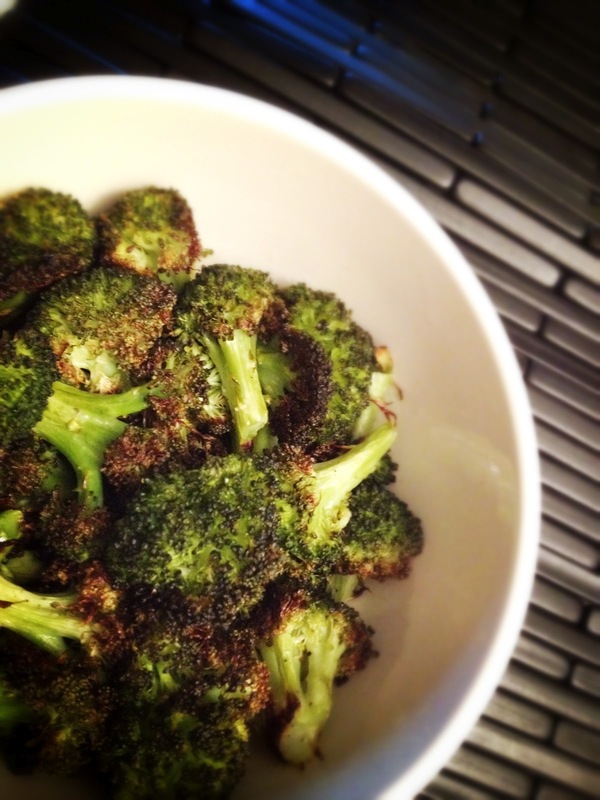 It's so simple, the key is for the broccoli to be completely dry! If it's not dry...it won't come out as crispy. How were the scallops tonight? I've never made them.... I've heard they are hard to cook correctly! Hey Lisa! They were "okay"...I probably cooked them wrong, they were rubbery! I'll try again next time, and do a little more reading up on it! Will teach my bearer (Bangladeshi cook) about the broccoli! Regarding scallops, they need very little "cooking" time. Overcooked scallops taste rubbery. Hope that helps next time, because they are Yummo!